and also to scores of other vaccinology-naïve medical journalists (not to mention vaccinology-naïve physicians, vaccinology-naïve nurses, vaccinology-naïve potential patients and vaccinology-be-damned, profit-hungry medical institutions across the nation, none of whom seem to be capable of thoroughly understanding the complex science and common toxicity of vaccines). Please introduce yourself to America’s Theoretical vaccine-safety agendas and the astonishing rise in the incidence of such vaccine-related, “iatrogenic” disorders that are heavily- and falsely – advertised as either having “genetic” connections or of having “no known etiology”. The partial list of disorders in the following paragraphs are now known to be iatrogenic or autoimmunity-inducing (or both) and are usually related to the repeated injections of vaccines that contain the neurotoxic heavy metal mercury, the autoimmunity-inducing metal aluminum, live viruses, contaminants, other toxic vaccine ingredients and/or some combination of the above (especially when the vaccines are administered in un-tested-for-safety cocktails that are often given at one sitting!). The following lists of potentially iatrogenic diseases (which mainly occur in the fully-vaccinated, by the way) include such vaccine-associated or vaccine-induced diseases that includes Autism, Asperger’s, ADHD, Asthma, Allergies and the fairly new, quite commonly-mis-diagnosed syndrome: ASIA (the “Autoimmune/inflammatory Syndrome Induced by Adjuvants). The ASIA syndrome includes a large number of iatrogenic diseases that are caused by vaccine adjuvants and therefore commonly mis-diagnosed. One of the most important is the newly-recognized syndrome, the debilitating post-vaccination disorder called macrophagic myofasciitis (MMF). In addition to those disorders above, there is also the following group of often iatrogenic, often prescription drug-induced, often vaccine-induced autoimmune disorders, including the following short list: multiple sclerosis, transverse myelitis, Guillain-Barre syndrome, seizure disorders, peripheral neuropathy, Bell’s palsy, radiculopathy, encephalitis and various other encephalopathies, anaphylaxis, herpes zoster, optic neuritis, visual impairments, hearing disorders, Sudden Infant Death Syndrome (SIDS), near-SIDS, seizure disorders, the multitude of drug-induced toxicities commonly caused by statin drugs, etc, etc. To get partly up to speed on the potential – and largely unreported – dangers of mass vaccination programs, please read my most recent Duty to Warn column that was just published in Duluth, Minnesota’s Reader magazine (January 11, 2019). The column has been re-published in any number of online journals around the world. 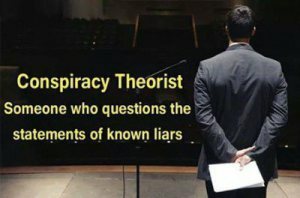 (Read that column, as well as other related columns, at: http://duluthreader.com/articles/2019/01/10/15692_trying_to_refute_with_real_vaccine_science_and). Please try to find the time to study the column. It could affect your health. Click on: (http://duluthreader.com/articles/2019/01/10/15692_trying_to_refute_with_real_vaccine_science_and). For space limitation purposes, the article had to be limited to 2700 words, so none of the many examples of vaccine unsafety and ineffectiveness could be included. For altruistic investigative reporters such as I know you want to become, there are a multitude of non-pro-vaccine, non-Big Pharma-authored books that do a good job of honestly exposing the many hidden dangers of vaccines. Altruistic medical reporters need to develop a healthy level of skepticism when wading through the voluminous pro-vaccine literature that is always over-represented in the first 20 Google hits. Honest health journalists must try to evaluate all sides of health and medical issues and work hard to identify the pro-vaccine, pro-drug bias that should become obvious when it is used by industry sycophants. It helps tremendously if your editor 1) has healthy amounts of skepticism about corporate medicine; 2) knows that there are at least two sides to most medical issues; 3) has intact journalistic ethics; and 4) is resistant to any retaliatory backlash from industry when their toes have been stepped on. I wish you good luck in your journalistic career. For more related articles that have been published by the enlightened owner and publisher of the Duluth Reader, go to: http://duluthreader.com/search?search_term=Duty+to+Warn&p=2;.